Fans can now vote as the Kapamilya Sunday musical variety show ‘ASAP’ finally announced the chosen nominees in the ASAP 2014 Pop Viewer’s Choice. The annual awards is held to recognize and celebrate the talents of artists in their respective categories. 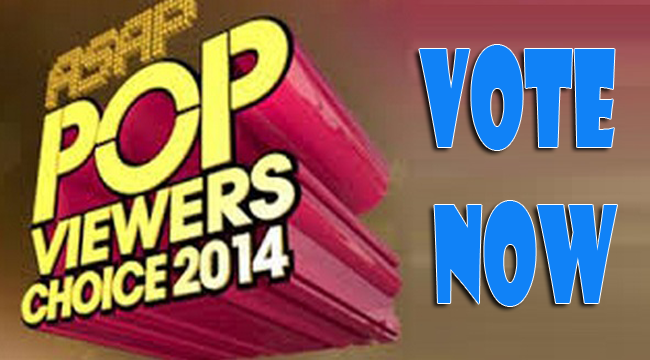 There are 5 main categories with subcategories where fans can choose from the nominates and vote from October 5 till November 14, 2014 at 12pm. For Pop Music, there are seven subcategories namely, Pop Female Artist, Pop Male Artist, Pop Song, Pop Album, Pop Soundtrack Album, Pop Music Video, Pop Celebrity Cameo. Pop movies are divided into 4 titles which are Pop Movie, Pop Movie Themesong, Pop Screen Kiss and Pop Love team. Pop Kapamilya TV has three categories: Pop Kapamilya TV Show, Pop Kapamilya TV Character and Pop Kapamilya themesong. Pop Astig has 8 sub categories while Pop Social Media Star has 5. There are a total of 27 subcategories to vote in. How to vote through online? Make sure you have a valid email address . Click the picture of the person you are rooting for. After voting, type in your e-mail account to validate your votes. You can only vote once per e-mail. How to vote through text? Have an ABS-CBN mobile SIM card if you want to vote trough text. Type POP space category code space letter of choice. Send the text to 2331. The awarding would be shown in ABS-CBN cable channel.While all the artist are deserving to win, who would be the best?